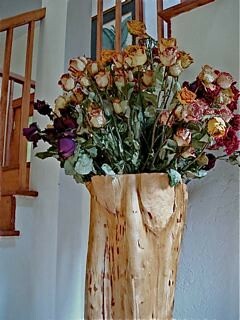 See a report on how to make your flowers last and last and last at the end of this message. 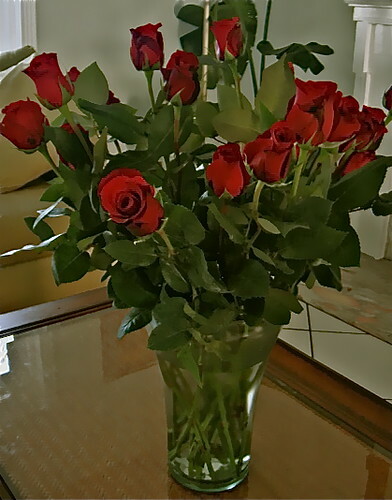 A reader sent this note: We ordered 100 roses thru Gary and Merri Scott to be delivered to our present address in California for distribution among eight ladies in the family. 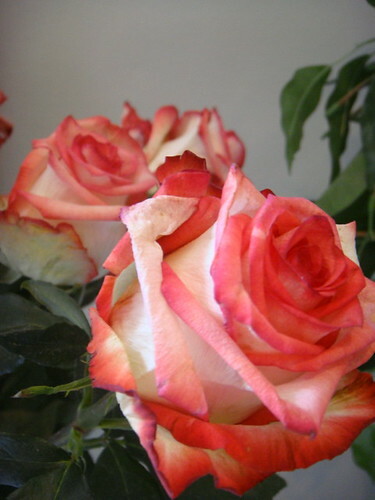 Saturday February 7, 2015 is the last day left to order fresh Ecuador Valentine roses for Thursday February 12, 2015 delivery. Order 25 fresh cut Ecuador farm choice roses for $93. Order 50 fresh cut farm choice roses or $105. Order 50 fresh cut roses half red + half farm choice for $119. Save $52. 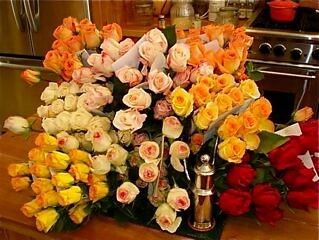 100 roses assorted color $159.00. We provide a service called Ecuador Living to assist those with a genuine and immediate interest in Ecuador. This service shares our continual research and experiences in global business, living and investing in Ecuador plus our contacts. We feel the service is a bargain at $119 a year. Subscribe to Ecuador Living Premium Service with your Valentine rose order, I’ll reduce the 25 rose price from $93 to $50. You get your fresh cut, premium roses at less than half price. You save $43. Save $43. Subscribe Ecuador Living Premium Service (normally $119). Get your subscription and 25 farm choice roses at half price. $169 total. Your roses include a personalized card so you can have fresh Ecuador Valentine roses yourself or send them as gifts. Merri and I love Ecuador for the warmth and friendliness in the hearts of its people. We also love Ecuador’s beauty. When an opportunity to send Ecuador roses, we grabbed the chance. Your order from this site goes direct to the rose plantation who will reserve your color option either red, or farm’s choice. 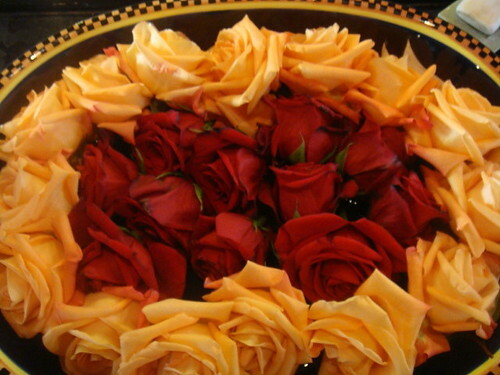 UPS will deliver the Ecuador roses directly to you from Ecuador. Open them. 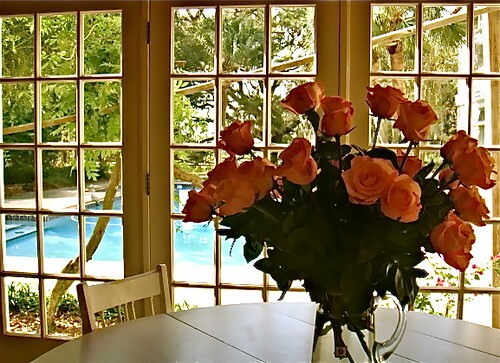 If you are not satisfied that these are truly remarkable roses, give them back to the UPS driver and let me know. We’ll give you a full refund. You can order 100 fresh roses and save even more. 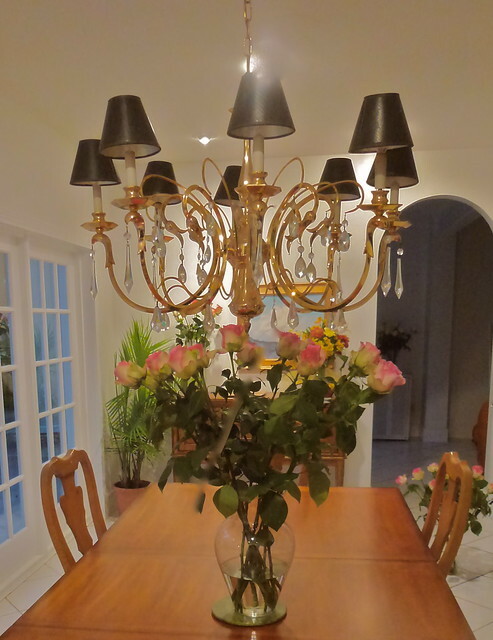 Enjoy the abundance of 100 fresh cut roses! UPS charges the same to deliver 50 or 100 roses so the price per rose is much less on orders of 100. Most roses go from Ecuador to Miami by air, are stored in Miami, then shipped by truck and then they sit in a store. They can be a week or more old when you receive them. The roses you receive from this offer are cut and stored overnight, driven by refrigerated truck to Quito airport and flown to Miami to a special refrigerated facility until, then flown to your destination for immediate delivery to your home or office. This means they last much longer. All Ecuador Valentine rose orders will be scheduled for delivery on February 12, 2015. Noon, Saturday February 7, 2015 is the last day left to order Ecuador Valentine roses. The rose farm will email you a UPS tracking number when the roses are shipped from Ecuador (normally four days before delivery) to make sure you’ll know exactly when your roses will be arriving. 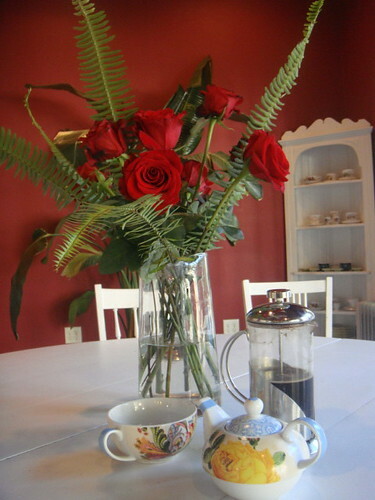 Here is a table setting Merri and I created after our roses finally drooped. See how to care for fresh Ecuador roses to make them amazingly long lasting. See the steps that keep some of these roses looking good for 14 days. After 18 days some still looked like this. Let me add here that not all, in fact not most, fresh Ecuador flowers will last 14 days. Nine days is more the norm. Many factors matter when it comes to longevity. Weather conditions that affect the temperature in the delivery van will have an impact. How long the flowers are in the van matters. How quickly you get the roses out of the box and into water affects longevity. 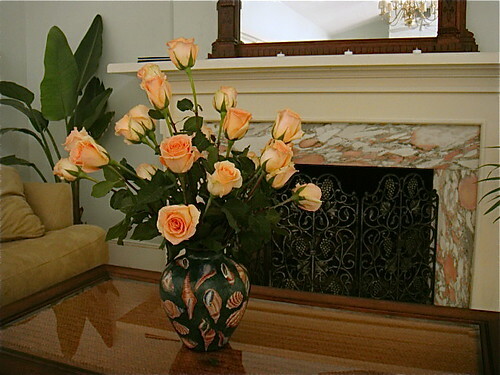 The types of roses delivered also relate to longevity. 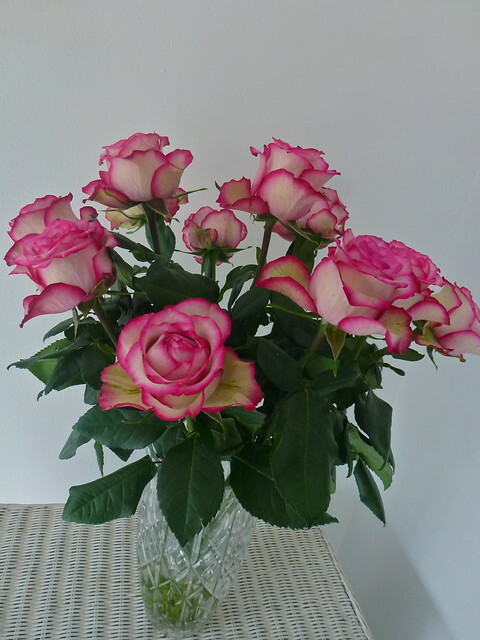 Thick stemmed roses with smaller heads generally last longer than thin stemmed roses with large heads. This however is not always true. 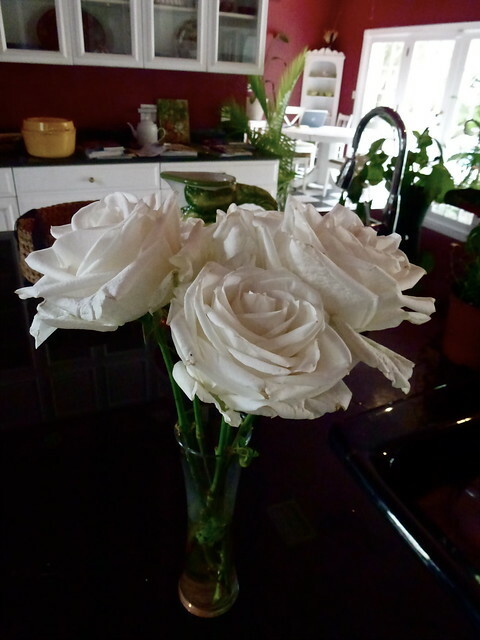 Some of roses we have received (after being severely pruned and placed three to a vase) lasted three weeks. 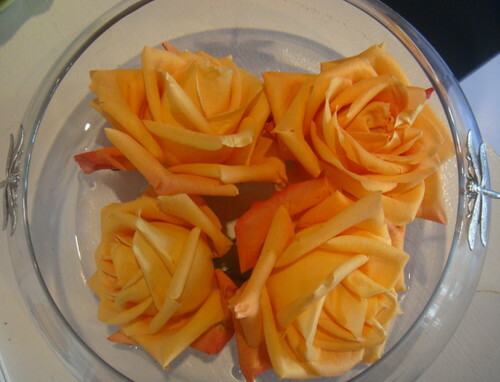 #1: Cut the tips of the rose stems when you receive them and place them in warm water and plant food. #2: Remove the guard leafs (the outside leaf that will have a strip of green on it). These leaves are high in acid that speeds blooming. #3: Do not crowd the flowers. Arrange them so the heads do not touch. #4: Recut the tips just a bit every other day and refresh with warm and plant food. #5: When the heads start to droop cut the stem severely. The shorter stem seems to bring the flower back. Use these three tips and those shown in the Care of Flowers report here and be ready to be amazed at how long your fresh Ecuador flowers last.